Actually, I shouldn’t be writing this post because it’s burning hot in Karachi, Pakistan. 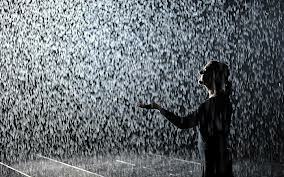 But the most I can do to satisfy myself is to Imagine, and imagine strongly about the rain! That gentle pitter-patter of rain on the rain outside and cold winds after the rain through the front gates!